The library has refocused its vision and mission statements to reflect our three-year strategic initiatives and to reaffirm our core values. Our path to rewriting these framework documents began at the 2017 library faculty retreat. The retreat focused on the library’s 2015-2020 Tactical Plan, which lists current and future projects the library plans to complete. After reviewing the plan, the librarians categorized projects as completed or ongoing. Projects that were not yet completed were revised to reflect current considerations. After the initial review, categorization and revision, the librarians voted on the library’s priorities for the 2017-2018 academic year. During the discussions, part of the conversation turned to the library’s Vision Statement (2012-2017) being too protracted to easily share with individuals from outside of the library. Since most vision statements are one or two sentences long and focus on an organization’s inspiration for completing its strategic initiatives, it became a near-term priority to refocus the vision. Dean Charles Kratz initiated a task force made up of professors George Aulisio, Kelly Banyas, Frank Conserette and Sheli Pratt-McHugh. The new statement captures the library’s ideal of being both a physical and abstract center for knowledge and social well-being. Anyone that visits the library knows that students spend a good deal of their free time in the building studying and socializing with their classmates. The library expends considerable energy to ensure the University community finds the library accessible, friendly and functional, and we accommodate those needs by focusing on cultivating knowledge through our various services, such as Research and Instruction Services, and through our impressive collection of print and electronic resources. We also take pride in championing diversity, innovation and collaboration by inviting student groups into the library, hosting a wide variety of programs, encouraging our staff to follow new opportunities and ideas, and regularly reviewing our library spaces to be sure they meet the needs of our students’ study and work habits. he Mission Statement echoes our vision statement but goes into particular detail about the values and principles we uphold. 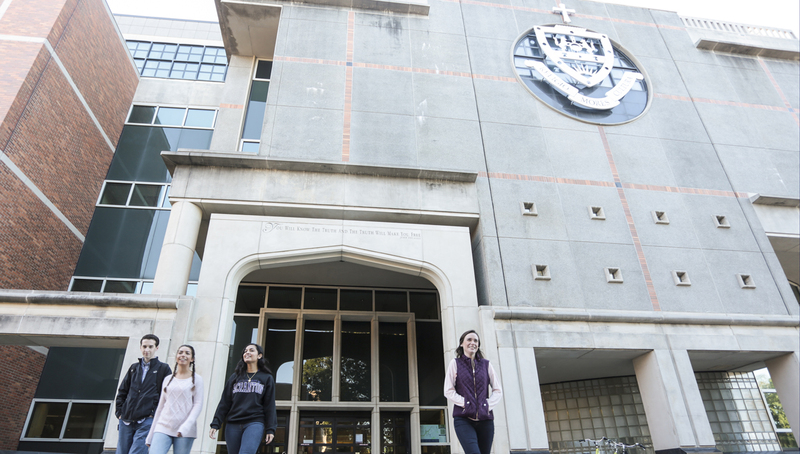 The library staff and faculty find that the mission statement helps us to verbalize the principles that help us to live up to our ideal of being the heart of the University’s intellectual and social life.